Make sure your flammable and corrosive liquids are safely stored and well organized with these Safety Storage Cabinets.The cabinets effectively seal off flammables when temperatures get too high. They are great for use in the classroom or in the studio. 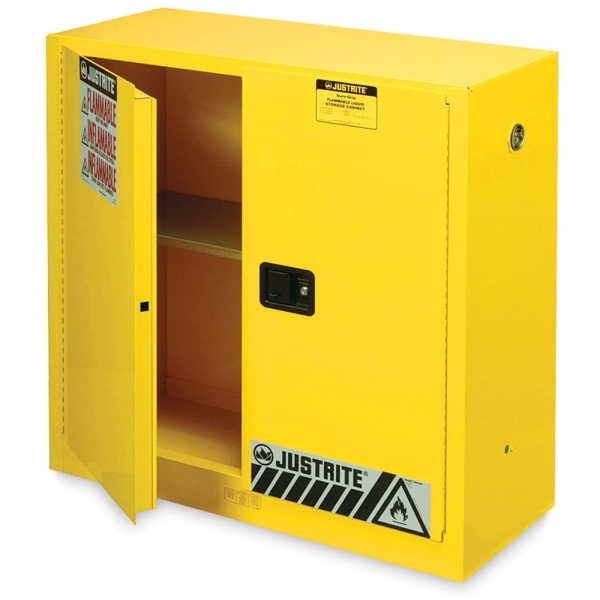 The Safety Storage Cabinets are made of 18-gauge powder coated steel with a double-wall insulating air barrier. They have adjustable leveling feet and a three-point lock with a fail-safe closing mechanism. The cabinets are UL listed and Factory Mutual tested and approved. ® Basco is a registered trademark.